Our students must write about what they are reading! Not only is reading response a wonderful way to assess comprehension, it helps to build up the writing stamina that is desperately needed in the upper elementary grades. The sooner kids get into the habit of responding to text, the better! However, this can create a lot of work for an ELA teacher. How do you keep on top of mountains of journals? How do you make sure your students know your expectations and write down responses that are worth reading? 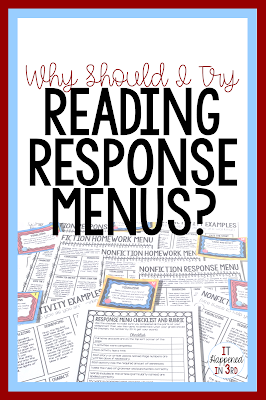 For me, the answers to these questions can be found in one place- Response Menus! Response menus are versatile, easy to implement, and easy to grade- all things every teacher looks for when selecting classroom activities! I've been using menus in my class for the past several years, and I'm not sure how I managed assessing my students' understanding of what they were reading beforehand! 1. They are the "Crockpot" of classroom activities! Teachers love a good slow cooker recipe. Throw a bunch of stuff in a pot, and 6 hours later you have dinner...well, I know it may be a weird analogy, but stay with me! Once you assemble your menus (whether in a notebook or at a center), you don't have to do much else in terms of preparation! No need to switch out centers this week, or run off copies of worksheets for homework. Everything is done for you! My Editable Reading Response Menus have composition-sized options- perfect for homework notebooks! 2. They allow students to practice using a variety of strategies while reading one text. I don't know about you, but I'm not a fan of teaching skills in isolation. I want my students to know that you can compare/contrast, find cause and effect relationships, and determine the author's purpose (among other things) all on one page! 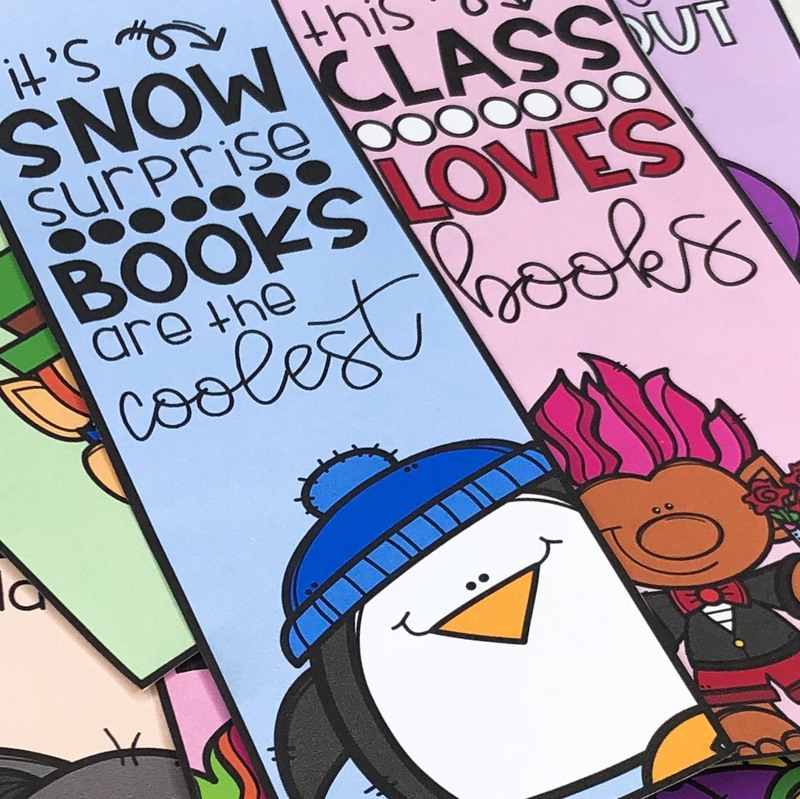 With a response menu, students are able to select from a variety of activities, allowing them to choose the best option for the selection they are currently reading. This promotes the kind of active reading that I'm looking for my students to demonstrate! Many students don't like to write because they don't know what to write about. With response menus, students are given a specific prompt, and exact directions for how to answer the prompt. This makes using response menus a great way to build writing stamina, as well as erasing some of the fears students have about putting pencil to paper! 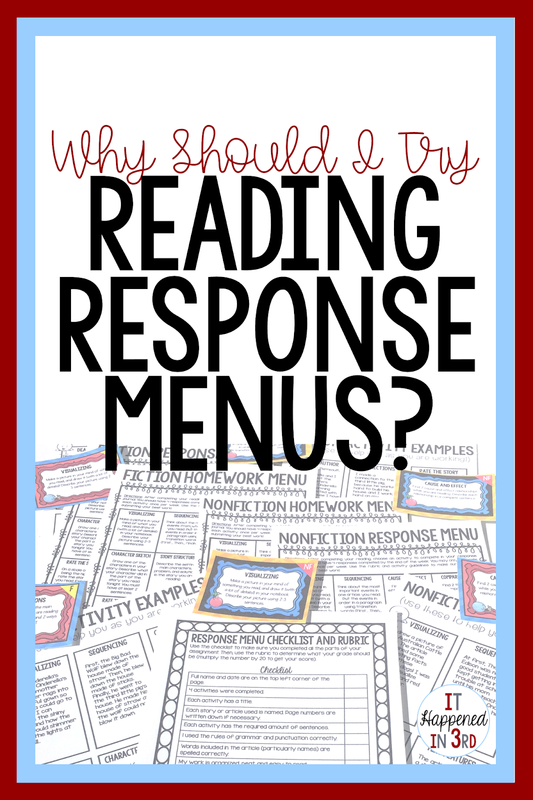 Ready to try reading response menus in your class? 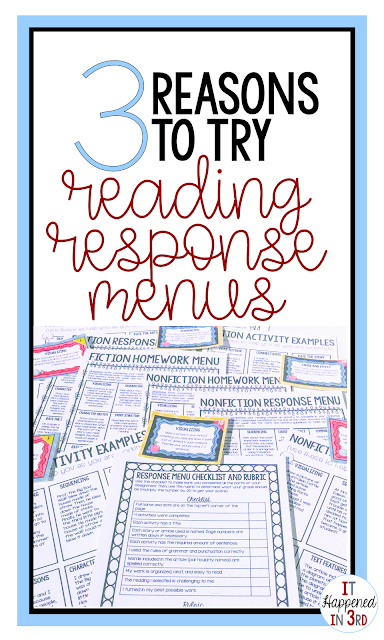 You may like my Editable Reading Response Menus, available in my TpT store! You will receive a variety of options for Fiction and Nonfiction menus, Activity Examples for each menu activity, a rubric for easy grading, a PPT slideshow explaining each activity to your students, and bonus task cards! 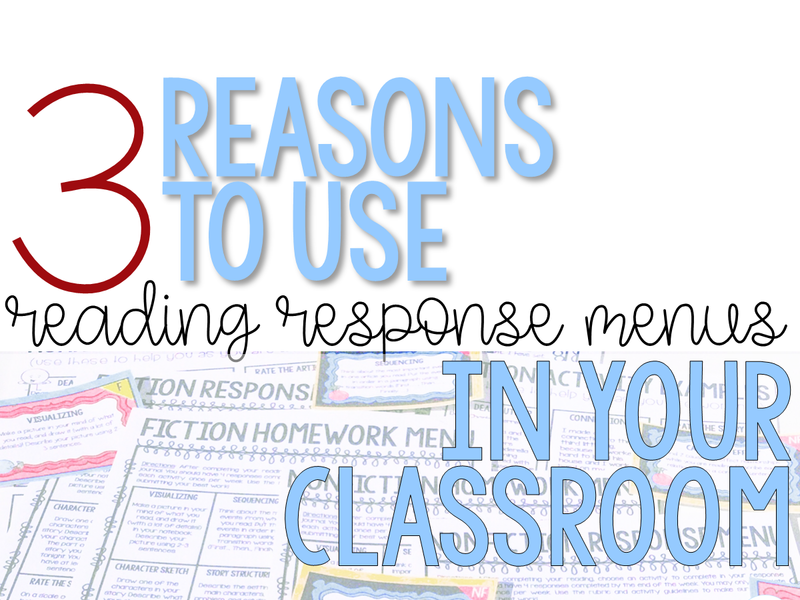 Do you use response menus in your classroom? Hooray for your first post! (And it's a good one!) So fun to find another blog to follow. I need to re-work my homework policy, and you've given me some ideas to think about. 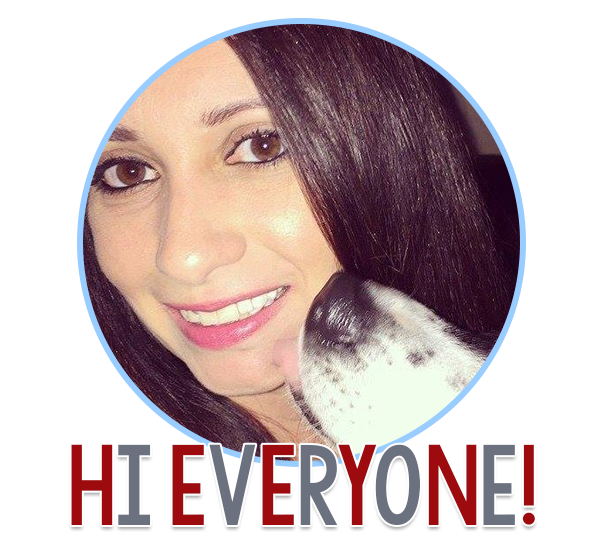 Best wishes, Marianna! Thanks, Kim! I'm trying to figure it all out as I go. I've gotten a lot of ideas off your blog even though we teach different grades. Glad you stopped by! These menus are awesome! Children need variety! Thank you for your response! I totally agree!